Transmitted by Bukhari (no.2419) and Muslim (no.818) from the hadith of Malik. 2) The meaning of seven ways is that there is a difference in reciting some words where its clarification is shown in the following examples: Example 1: the Qari (reciter) Asim Ibn Abi an-Nujud al-Kufi and other than him recited, “Maaliki yawmidin”. 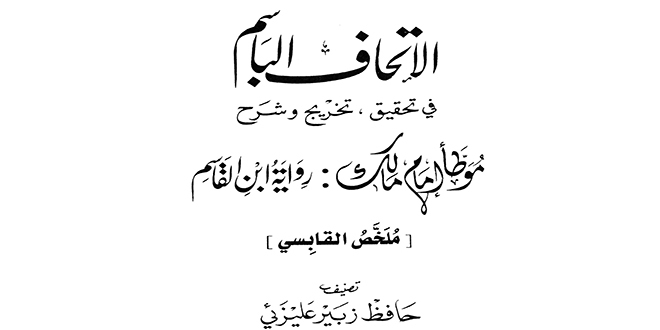 Whereas the Qari (reciter) Nafi’ Ibn Abdurahman Ibn Abi Na’im al-Madani recited, “Maliki yawmidin”. The first recitation is mutawatir in the Indian subcontinent etc. and the second recitation is mutawatir in Africa etc. Example 2: The Qari (reciter) Hafs Ibn Sulayman al-Asadi (from Asim Ibn Abi an-Nujud) recited, “Famaa tastatee’oona sarfawn wa laa nasraa”. (Surah al-Furqaan ayah 19) Whereas Qari Nafi’ al-Madani recited, “Famaa yastatee’oona sarfawn wa laa nasraa”. 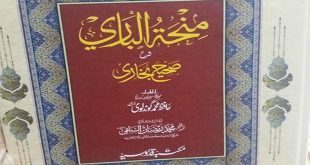 Qur’an (narration of Qalun (pg.309), narration Warsh (pg.293)) Example 3: Qari Asim, Qari Qalun and other reciters have recited “Qul a’udhu bi rabinas” whereas in the recitation of Qari Warsh it is “Qula a’udhu bi rabinas”. 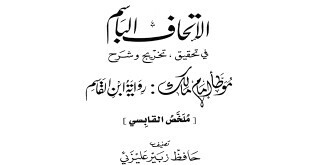 Qur’an (recitation of Warsh (pg.712) Jaza’ir print (published), other manuscript, Egyptian print (published)). T.N. The seven ways also mean many different accents. 3) Umar (Radi Allahu Anhu) was always ready to defend Islam, perform Jihad in the path of Allah and love Islam. 4) If one person is acting upon an issue from two well established issues from the Quran and hadith and another person is acting upon the other issue then they both shouldn’t harshly refute each other as the paths to verification are always open. Wal hamdullilah. 5) If one person thinks that another brother has committed (is guilty of) an ijtihadi mistake then he should respond and refute with softness and proofs at a selected appropriate time. 6) It is allowed to recite the Quran with the seven recitations however it is better to recite in the most known recitation in your area so that the general people do not become victims of misunderstanding. 7) May Allah fill Uthman’s (Radi Allahu Anhu) grave with mercy and nur since he gathered the Muslims together on one written script of the Mushaf (Quran) in which other recitations are recited from.